Thursday offers return of USAC 410 sprints for first show since 1996, Friday boasts USAC Silver Crown big cars in 100-lap Horn/Schindler Memorial! 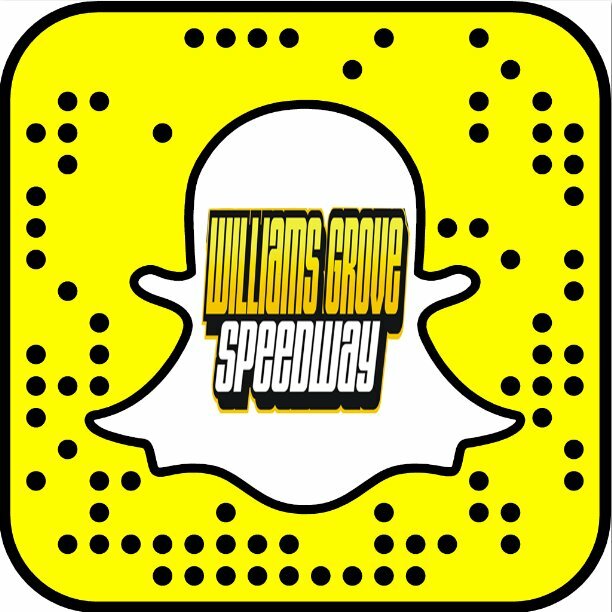 Mechanicsburg – Williams Grove Speedway will host two huge nights of USAC sprint car and midget competition coming up on Thursday, June 15 and again on Friday, June 16 as the historic oval stages the USAC Triple Crown Showdown. The USAC Triple Crown Showdown will showcase all three forms of USAC competition on the big half-mile clay oval at Williams Grove. Both racing programs begin at 7:30 pm. On Thursday night, the wingless USAC 410 sprint cars and stars of the United States Auto Club will compete in the third leg of the 2017 USAC Eastern Storm tour that visits several area tracks. Thursday’s main event will pay $6,000 to win the 30-lap feature event while the USAC/ARDC midgets are also on the program. If completed, the June 15 USAC sprint car event at Williams Grove Speedway will be the first held at the track in some 21 years, dating back to 1996 when Billy Pauch took a win for the locals aboard the Zemco No. 1 sprinter. Slated USAC appearances since that time have fallen victim to rain. For this USAC 410 sprint swing, Gettysburg’s Danny Dietrich is expected to be in action along with Sunbury’s Mark Smith and midget driver Alex Bright. And then on Friday night, June 16 the USAC Silver Crown champ cars will compete in the 100-lap Ted Horn/Bill Schindler Memorial boasting a $34,000 purse paying $8,000 to win, along with USAC/ARDC Midgets. The Friday Williams Grove show will continue the revival of a decades long event when for the second year in a row the Ted Horn/Bill Schindler Memorial race is staged, sanctioned by the USAC Silver Crown Series. The event was discontinued after the 1974 race that was won by Bruce Walkup of Downey, California. But in 2016, USAC and Silver Crown returned to Williams Grove in a much-heralded apperance to revive the race and the Silver Crown stars and the race did not disappoint as Chris Windom of Cantonville, Ill., took the prestigious championship event chased by the charge of Indiana’s Bryan Clauson. For the 2017 version, local drivers Dave Berkheimer, Steve Buckwalter and Mark Smith re expected to compete with the traveling big car stars. Adult general admission for Friday’s show is $30 with youth ages 13 – 20 admitted for $10. Thursday adult general admission is priced at $25 with youth again set at $10. 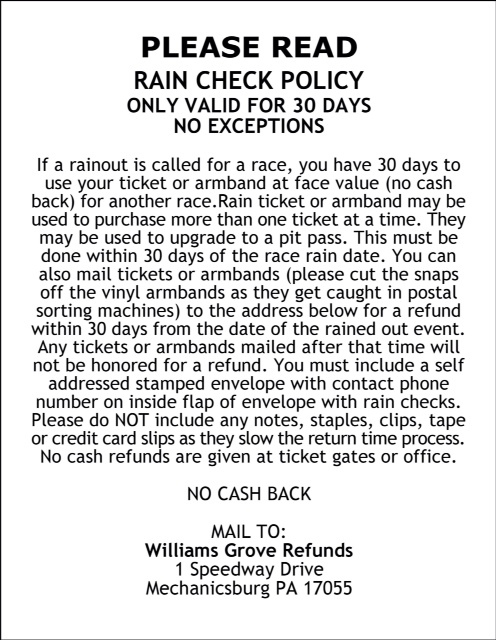 The Williams Grove portion of the 50/50 drawing on Thursday will be donated to the Pancreatic Cancer Action Network while the Friday recipient will be the Eastern Museum of Motor Racing. There will be no regular Lawrence Chevrolet 410 sprint car competition at Williams Grove Speedway on either night of the USAC Triple Crown Showdown.